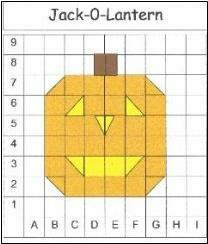 The activities on these pages were designed to reinforce math concepts and skills through seasonal fall themes. 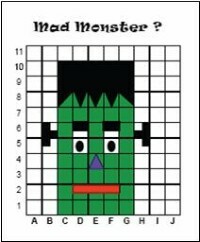 Math mats, games, literature connections, coordinate graphing and problem solving activities are included to motivate students to practice these important math skills. 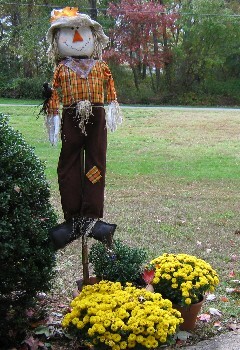 See Fall Math Activities 2006 for pictures and descriptions of the activities and to download PDF files. See Fall into Math 2005 for additional fall math activities. Daily Math Routines: these routines help students see how math is used in everyday life. Students build strong number sense while developing proficiency with counting and calendar routines. See Morning Math Routines for descriptions of the daily math routines commonly used in K-2 classrooms and to download charts for some of the routines. 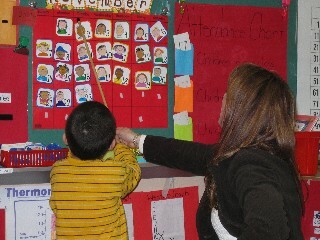 See Morning Math Routines: Photo Gallery for photos of how different teachers organize these routines in their classrooms. 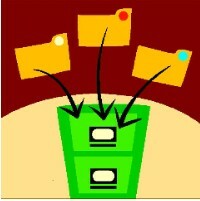 See Mrs. Meacham's Calendar Math Ideas for printable file folder calendar activities. Who Has? 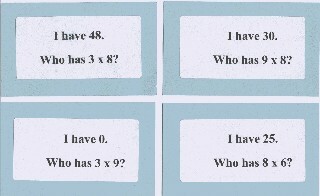 Games: These card deck games are designed to be used with the whole class to provide quick practice of math basic facts. 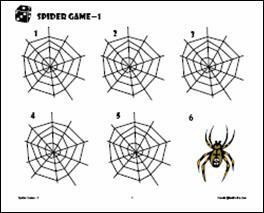 After the initial introduction, students can complete the activity in 2-5 minutes. Timing the Who Has? activity and recording the daily times encourages the class to master the facts to improve their performance. See Who Has? Activities for classroom management strategies as well as several different decks (multiplication, place value, base ten, more or less, etc.) that are formatted to print on 2x4 inch labels teachers can affix to index cards to easily create class decks.